In an effort to protect the interests of U.S. prospective adoptive parents who are adopting from Nepal, the U.S. Embassy in Kathmandu is implementing new procedures to ensure that the adoptive child will be eligible to immigrate to the United States BEFORE the prospective adoptive parents travel to Nepal and complete the Nepali adoption process. The procedures in this announcement apply only to prospective adoptive parents who were officially matched with Nepali children prior to August 6, 2010, and whose Form I-600, Petition to Classify an Orphan as an Immediate Relative, has not yet been adjudicated. If prospective adoptive parents whose cases meet these qualifications choose to follow the procedures outlined below, the U.S. Embassy in Kathmandu will determine whether the children for whom they are petitioning meet the definition of orphan under U.S. law – one of the requirements for approval of the Form I-600 petition and visa issuance. End summary. United States Citizenship and Immigration Services (USCIS) and the Department of State have encountered inconsistent and unreliable documentation regarding the reported abandonment of children for adoption in Nepal. These problems led the U.S. government to suspend processing of new orphan cases involving Nepali children claimed to have been abandoned, effective August 6. However, a number of cases were already underway as of that date and are now being processed to conclusion. On August 27, 2010, the USCIS delegated authority to the U.S. Embassy in Kathmandu to approve any Form I-600, Petition to Classify an Orphan as an Immediate Relative, on behalf of a Nepali child residing in Nepal who is and whose case is exempt from the suspension of processing announced August 6, 2010. The exemption applies to cases in which the prospective adoptive parents: 1) received an official referral letter from the Government of Nepal’s Ministry of Women, Children and Social Welfare (MOWCSW) prior to August 6, 2010, informing them of a proposed match, or 2) who seek to adopt a Nepali child who has been relinquished by known parent(s) and whose identity and relationship can be confirmed. Prospective adoptive parents involved in a case exempt from the suspension are strongly encouraged to file their completed Form I-600 petition with the U.S. Embassy Kathmandu prior to traveling to Nepal to finalize the adoption. The Embassy will then complete the required Form I-604 Determination of Child for Adoption (sometimes referred to as the “orphan investigation”) and inform the prospective adoptive parents of the results. Prospective adoptive parents who wish to participate in this program should send their completed, signed Form I-600 petition and supporting documents (other than the adoption order), including a copy of the Government of Nepal’s official referral letter dated prior to August 6, 2010, if available, through their U.S. adoption service provider to their local agency representative in Nepal. Local agency representatives may deliver Form I-600 petitions and supporting documents to the Embassy’s American Citizen Services (ACS) Unit Monday through Friday between the hours of 1:30 and 4:00 p.m. They should tell the Embassy security guard that they are coming to deliver adoption documents. All Form I-600 petitions and supporting documents (other than the adoption order) should be delivered in person by local agency representatives. Prospective adoptive parents should not mail Form I-600 petitions or supporting documents directly to the U.S. Embassy in Kathmandu. Upon delivery of the Form I-600 petition and supporting documents, the local agency representative will be given written confirmation from the Embassy that the documents have been received. A consular officer will perform a preliminary review of the case to ensure that the Form I-600 petition has been properly completed and signed (and includes the appropriate fee, if required) and that all of the required documents have been submitted to enable the Embassy to initiate the I-604 investigation. If the petition and supporting documents are in order, the case will be added to the list of cases pending an I-604 investigation. The MOWCSW has informed the U.S. Embassy it is willing to grant extensions on the 60 day period between the date of the authorization to travel letter and finalizing the adoptions in Nepal, to give the Embassy time to complete the required I-604 investigation. Prospective adoptive parents who have received the MOWCSW’s travel authorization letter should include a copy with the documents that their local agency representative delivers to the ACS Unit. After the Embassy confirms that the prospective adoptive parents have received an official referral letter from the MOWCSW dated prior to August 6, 2010, the Embassy will request an extension of the 60 days in writing from the MOWCSW on behalf of the prospective adoptive parents. A copy of the Embassy’s letter requesting the extension will be provided to the prospective adoptive parents by email for their records. When the Embassy receives a response from the Ministry, the Embassy will share this response with the prospective adoptive parent. If, after completing the Form I-604 investigation of the case, the Embassy finds that the evidence establishes that the beneficiary child is an orphan under U.S. immigration law, the prospective adoptive parents will be notified in writing that they may travel to Nepal to complete their adoption. Upon completion of the adoption, the Embassy will be able to complete the adjudication of the Form I-600. Note that the I-604 Investigation results are not the only consideration in the I-600 adjudication. If the Form I-600 Petition is approved, further documents (such as the child’s medical report, etc.) will be required at that time for the visa interview. These documents could affect the child’s eligibility to receive an IR-3 or IR-4 immigrant visa. Notification from the U.S. Embassy in Kathmandu to travel and complete an adoption following these procedures should therefore not be construed as a guarantee that the Form I-600 petition will be approved or that the child will be issued an immigrant visa. After their adoption is finalized, the adoptive parents or their local agency representative should submit the original adoption order and the child’s Nepali passport to the Embassy and request an immigrant visa appointment. If Embassy Kathmandu determines that the Form I-600 petition is not clearly approvable, the prospective adoptive parents will be notified in writing that the Embassy has forwarded their Form I-600 petition and supporting documents to USCIS New Delhi for further review and action. With the exception of those families already in Nepal at the time of this announcement, USCIS and the U.S. Embassy in Kathmandu will process the Form I-600 petitions in the order that they are filed, regardless of whether the petitioner is in Nepal. If a petitioner chooses to travel to Nepal to file the Form I-600 petition after the date of this announcement, the petitioner should anticipate a lengthy stay in Nepal while the U.S. Embassy in Kathmandu conducts the required investigation and while USCIS conducts any necessary review. Effective immediately, the USCIS National Benefits Center (NBC) will forward any pending Form I-600 petitions filed domestically on behalf of children from Nepal to the National Visa Center (NVC) and notify the petitioner(s) of the transfers. In addition, any Form I-600 petition received by the NBC after August 6, 2010 will be forwarded to the NVC. Once the NVC receives a Form I-600 petition from the NBC, it will scan the documents and forward the case to the U.S. Embassy in Kathmandu for processing. The Office of Children’s Issues provides regular updates to families and adoption service providers specifically affected by legal actions taken regarding hogares or child care centers for children awaiting intercountry adoptions. If you received this e-mail in error and do not wish to receive future updates please notify AskCI@state.gov using the subject line: Remove My Name from the Guatemala Hogar List Serv. Similarly, if you have friends or colleagues who would like to receive these updates, ask them to contact AskCI@state.gov using the subject line: Add My Name to the Guatemala Hogar List Serv. These updates will focus on recent developments; for a comprehensive review of intercountry adoptions in Guatemala, please consult the Guatemala section of the Office of Children’s Issues general website http://www.adoption.state.gov/ . The following are brief updates on issues or related developments that may be of general interest. We take this opportunity to remind adopting parents and others that the U.S. Embassy in Guatemala is not officially notified of investigations of individual hogars. Many of the investigations going on in Guatemala involve allegations of criminal wrongdoing. Further, the U.S. Government does not have any official legal standing in these cases, thus we may not be informed, but may also be officially barred from receiving routine information. Our records show adoption petitions are still pending for about 8 of the original 46 children who were taken into custody from Casa Quivira. In several of the cases, the Solicitor General’s Office (PGN) has identified irregularities and these cases must be processed as abandonment cases through the National Council for Adoptions (CNA). The Guatemalan government has agreed that these cases (if all requirements have been complied with) can be processed as transition cases and will not have to wait for the new Hague procedures to be implemented. In early August, the court in Chimaltenango separated five of the Semillas de Amor cases, allowing them to proceed. Some of those children already have visas and will hopefully be able to depart soon. Several of the five cases have been sent to the PGN for final adjudication. We are awaiting additional information on these cases. The Embassy learned in 2009 that Asociacion Santa Lucia de las Flores Silvestres had been under investigation by the Guatemalan Attorney General’s office since 2008. The Embassy has been in contact with some of the prospective adoptive parents. We understand there were at least five children indentified for adoption by American citizens being cared for at this home. It is our understanding that many of the children taken from this orphanage are now living in various hogares until a judge decides on their cases. The investigation is still underway. On August 13, 2009, the Embassy learned about an action by Guatemalan authorities involving 17 children from the Hogar Asociación Primavera, 16 of whom had been matched with U.S. adoptive families. We have since learned that the children were transferred to various hogares in Guatemala City. A police investigation continues. The judge in Esquintla who approved many of the abandonment cases from Hogar Primavera, was recently stripped of his immunity and could now face criminal charges. On December 16, 2009, the Guatemalan press reported that Susana Maria Luarca Saracho, a facilitator of international adoptions for Asociación Primavera, was arrested by the Ministerio Publico on charges of irregular adoptions. She was later released on Q50,000 bail (just over $6,000) and is under house arrest while the investigation continues. As reported in the press, a lawyer linked to various illegal adoption cases, Alma Beatriz Valle Flores de Mejia, was charged in Guatemala on April 22, 2010 with human trafficking and using false documents, among other charges. Valle de Mejia was implicated in 158 cases of irregular adoptions in 2008 as part of her involvement with Asociación Primavera. According to the charges, she formed part of a network engaged in illegal adoptions. This network included attorney Susana Luarca Saracho mentioned above. Press reports state that Valle de Mejia was deported from the United States on April 22, 2010 after she was captured in Texas for remaining in the United States illegally after her visa expired. On May 6, 2008, an action was taken against a hogar on 11 Avenida 7-51, Zona 11, Quinta Samayoa, Guatemala City. Rosalinda Rivera was apprehended at this location and 9 infants were removed from her custody. Ms. Rivera did not provide the necessary paperwork to prove this was an authorized home. The children are all living in other hogares awaiting a decision on their case. •Consular officers and the U.S. Citizenship and Immigration Services (USCIS) officers in Guatemala City are in regular contact with Guatemalan officials about the current situation and to look for approaches that could streamline the process, coordinate the flow of information to adoptive families, and permit all adoptions to move forward. In some instances, the Ambassador has been directly involved in discussions with Guatemalan officials on the adoption situation in Guatemala. Senior State Department officials also regularly raise adoption issues with their Guatemalan counterparts. •In light of allegations regarding the integrity of Guatemala’s former adoption process, Guatemalan Government authorities are making a concerted effort to confirm all aspects of every case. Because of the large number of investigations, progress overall continues to be extremely slow. •The Consular Section continues to process visa applications as soon as the files are complete. The Department of State reminds prospective adoptive parents of the worldwide DNA testing procedures. All second DNA tests for adoptions must be scheduled with the U.S. Embassy’s Consular Section. Information is available from the Consular Section at: adoptguatemala@state.gov or http://guatemala.usembassy.gov/adop20091221.html . The National Council for Adoptions (CNA) was confirmed as the lead agency for adoptions of Guatemalan children for both domestic and foreign adoptive parents. New procedures implementing the December 2007 adoption law were published by the CNA in the official newspaper in Guatemala and went into effect on July 13, 2010. Under these rules, Guatemalan parents will be the first to be considered for adoption and foreigners will be considered subsequently. According to the new regulations, a multidisciplinary team composed of psychologists, medical doctors, lawyers and social workers will determine whether a child can be adopted and then will evaluate the prospective adoptive parents to make a decision on whether to allow the adoption of that child. Adopting parents are reminded that CNA issued a statement last year telling parents they should not hire private attorneys or notaries to process their adoptions. This announcement applies only to cases that the CNA is processing at this time, i.e., pre-Convention abandonment cases or others that cannot be processed by the PGN. On July 1, 2010, Secretary of State Hillary Rodham Clinton announced the appointment of Ambassador Susan S. Jacobs as the Special Advisor to the Office of Children’s Issues. This new foreign policy position will address intercountry adoption and international parental child abduction. In her new role, Special Advisor Jacobs will actively engage with foreign government officials to protect the welfare and interests of children. Ambassador Jacobs plans to go to Guatemala in the coming months and will meet and advocate on behalf of all adopting parents whose cases were properly registered and are pending. Special Advisor Jacobs has recently served as a Senior Policy Advisor in the Department of State’s Bureau of Consular Affairs. She is a former Ambassador to Papua New Guinea, the Solomon Islands and Vanuatu and her Foreign Service career has included tours in Caracas, Tel Aviv, New Delhi, Bucharest, and San Salvador. U.S. Senator Frank Lautenberg (D-NJ) and 75 other Members of Congress signed a letter that was sent to the President of Guatemala, Alvaro Colom, and other key Guatemalan officials, asking them to facilitate the adoptions of approximately 400 cases. The letter discusses the fact that these cases have been pending since at least the 2007 adoption system reform was enacted and the continued concern that these cases have been inexplicably delayed. The letter asks President Colom to create a transparent system to protect the children, birth parents, and adopting parents. USCIS Field Office Guatemala City reminds prospective adoptive parents of the procedures for the 1st DNA test required in relinquishment cases. All 1st DNA appointments must be scheduled by USCIS. For more information or to schedule an appointment for DNA collection, please contact USCIS at: Guatemala.Adoptions@dhs.gov . This change in the filing location for the Form I-600 petitions applies to two groups of prospective adoptive parents who are not affected by the suspension. * The first group is those who received a referral letter from the Government of Nepal’s Ministry of Women, Children and Social Welfare before Aug. 6, 2010, informing them of a proposed match of an abandoned child. * The second group is those who seek to adopt Nepali children who were relinquished by known parent(s) and whose identity and relationship can be confirmed. For addition information about filing a Form I-600 petition at the U.S. Embassy in Kathmandu, please visit www.adoption.state.gov. Guidance for prospective adoptive parents of Nepali children is available online at http://www.uscis.gov/ . For more information on USCIS and its adoption programs, visit http://www.uscis.gov/adoption . Effective August 31, 2010,the Ministry of Gender and Family Promotion (MGFP) in Rwanda is temporally suspending all new applications for intercountry adoptions so they can prepare for accession to the Hague Convention. MGFP announced that applications from prospective adoption parents already received by Ministry or any Rwandan Embassy before the above mentioned date will be processed. More information will be provided as updates are received from the U.S. Embassy in Rwanda. This notice serves as a reminder that as of May 9, 2010, the Ethiopian government requires that adoptive parents must appear at the federal court hearing for their adoptive child in order for the adoption to be approved. If there are two adoptive parents but only one parent can attend the hearing, special permission from the federal court must be obtained in advance. If approved, the attending parent must have a power of attorney from the other. However, please note that if only one parent meets the adoptive child before the court date, the child will be eligible for an IR-4, not an IR-3 visa. This means that if the child qualifies for the issuance of an adoption visa, the child will not become a U.S. citizen upon entry to the United States, but will become a legal permanent resident. Please be advised that while the Embassy prioritizes adoptions cases, it cannot guarantee expedited processing. It generally takes three or more weeks after the court date for adoption agencies to obtain the documentation necessary for an immigrant visa application. In addition, the Embassy is required by law to conduct an I-604 review (Determination on Child for Adoption) in advance of the interview. Depending on the circumstances of the case, this review may take up to several weeks or even months to complete. Due to the procedures outlined above, we do not recommend that adoptive parents travel to Ethiopia for an immigrant visa appointment until they have verified with their adoption agency that their visa interview appointment has been confirmed. We strongly recommend that adoptive parents who plan to stay in Ethiopia between the court hearing and interview obtain an Ethiopian visa in advance of travel, and ensure the validity of their visa to avoid immigration proceedings and/or significant fines. The Embassy's Adoptions Unit can be reached at adoptionsaddis@state.gov. As a new signatory country of The Hague Convention on protection of children and cooperation in respect of inter-country adoption, concluded on 29 May 1993. Rwanda is in the process of putting in place the structures, mechanisms, tools and implementation plan. For the reason of continuing protecting the Rwandan child’s best interests in adoption and at the same time combating possible abduction, sale and trafficking in children, the Government of Rwanda is temporally suspending all new applications for inter-country adoption as from 31 August 2010. Applications from prospective adoption parents already received and those that could reach the Ministry OR ANY RWANDAN EMBASSY before the above mentioned date will be taken care of as usual. This applies to new applications submitted after Aug 31, not to adoptions currently in process. MIGEPROF updated it's announcement to include applications that are submitted to the Ministry OR ANY RWANDAN EMBASSY by the cut off date will be accepted. The following is a list of agencies seeking Hague Accreditation, Hague Approval or Renewal of Hague Accreditation or Approval by the COA as of August 15, 2010. COA invites the public at large to provide comment on intercountry adoption service providers seeking Hague Accreditation, Hague Approval, or Renewal of Accreditation/Approval. Please consult the COA's website for instructions on how to comment on an applicant agency (link below). New Hope Christian Services, Inc.
PEAR has recently been made aware of an increase in marketing and interest in adoption from Morocco. As the pool of Non-Hague countries open to adoption shrinks, we understand that adoption service providers (ASPs) are under increased pressure to find viable programs for clients interested in adopting abroad. We wish to remind prospective parents and the general public that what adoption agencies advertise in their adoptive programs has little to no regulation. PEAR believes that many ASPs offering new Morocco programs are not correctly conveying the process and requirements. We call upon ASPs to appropriately represent the process, children available, and prospective adoptive parent requirements when promoting their programs on websites and in private forums. PEAR believes that Morocco is a viable option for Muslim families who understand the need to take additional steps once they return from Morocco with child to finalize the adoption in their state court and obtain US citizenship for the child. We are aware that some PAPs are being mislead by ASPs and encouraged to make false statements or told they need only to respect the Muslim faith with their Moroccan children. This is not what the Moroccan government supports nor requires. Prospective parents who are not Muslim must convert while in Morocco in front of an Adul (Muslim religious notary) and obtain a conversion document. The conversion needs to be real. If the declaration is made without the above seven conditions (knowledge, certainty, sincerity, truthfulness, love & affection, submission and acceptance of Allah's commands) it is not valid. Indeed some families have been refused subsequent kafalah from Morocco after the Moroccan government discovered that the original conversion was a sham made only for the purpose of obtaining a child from Morocco. See: http://www.timesonline.co.uk/tol/comment/faith/article4965528.ece for an example. Since Islam requires no formal preparation and there is no "certificate" issued, to "prove" your conversion, you can make your "statement of conversion" before a notary or other official (conversion documents are obtained from and notarized by aduls, or religious/court notarials) so that you have a document proving your conversion. This document is called the Conversion Document as referenced in the DOS materials. The document is required by the Moroccan government for other reasons, such as marriage, where you need to prove that you are Muslim. We believe that many ASPs and prospective parents are confusing the ease of “proof” of conversion with the act or decision of conversion which should only be undertaken after thought, reflection and determination of sincere religious conviction apart from the desire to adopt a Muslim child. PEAR believes that the nature of a religious conversion is downplayed by stating one can “easily convert” in the DOS statement. In addition, the phrase “easily convert” is being misrepresented by agencies on their websites and in conversations with prospective adoptive parents. We have seen communications in which agency personnel attempt to persuade prospective parents with the fact that practicing the Islam is not enforced post-adoption so they need not truly “convert”. We find the practice of false conversion to be insulting to the Muslim faith, disrespectful of the child, harmful to the institution of adoption, and completely unethical. Adoption is not about finding children to meet the needs and desires of prospective parents, it is about finding proper homes for children who need them. Disrespecting a child’s religion and culture is disrespecting who the child is. We respectfully call upon the DOS and ASPs with Moroccan programs to correctly convey the requirements of kafalah from Morocco in a manner that is respectful of the Muslim faith, properly conveys the requirement that prospective parents be of the Muslim faith, and does not encourage false conversion. Additionally, we call upon prospective adoptive parents to refrain from deceptive practices when adopting a child. The legitimacy of the institution of adoption requires transparent, educated, and honest participation in the process. On August 6th, PEAR participated in the conference call held by the USDOS and USCIS in which they jointly announced their decision to suspend processing cases of anonymously abandoned children in Nepal. 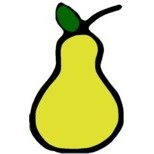 PEAR is saddened by the necessity of a suspension in Nepal. We believe that the best place for a child to grow is in a loving home. For the legitimately abandoned orphans in Nepal, a suspension will mean the delay or a loss of a permanent home for these children. Because it is so important for children who need homes to find homes, we believe that inter-country adoption can have a place in a country’s child welfare plans. However, we strongly believe that adoption needs to be in the best interests of the child – and therefore all steps must be taken to ensure that all children placed are truly in need of homes. Unfortunately, Nepal has a long history of corruption in its inter-country adoption program. There are many documented cases of children placed in orphanages for temporary care being adopted internationally without their parent’s consent. In countries with limited social welfare systems, like Nepal, a temporary orphanage placement is often the only option available to a parent during a crisis. It should not, however, lead to the child being placed for adoption without the parent’s consent. PEAR hoped when the new program opened in 2009 that would mean a fresh start for the Nepal inter-country adoption program and a reduction in the kind of corruption and ethical violations that had previously plagued many adoptions from Nepal and resulted in the May 2007 closure. Our hopes seem to have been misplaced. According to the USDOS1 and news reports2, one of the children referred to the first three US families traveling to Nepal was a child whose parents were searching for her. This little girl, Karuna, was placed in the orphanage by her parents for temporary care. Her identity was changed; she was declared to be an abandoned child; a false police report was created; and she was referred for adoption to a US family. Meanwhile, the parent’s requests for her return were refused by the orphanage several times. The prospective adoptive family was in Nepal when Karuna was finally returned to her parents. On June 22, 2010, eKantipur.com published an article about Smriti3, a girl whose mother placed her in an orphanage for temporary care. During a regular visit to the orphanage to see her daughter, the mother learned Smriti had been adopted by a family in Italy. Her abandonment documentation is alleged to have been falsified. On June 25, 2010, Italy suspended adoptions from Nepal4. The USDOS reports that, in recent months, there have been more cases of allegedly “abandoned” children – whose families were actively searching for them – being referred for adoption with falsified abandonment documentation. Given the small number of adoptions cases reviewed, this is a shockingly high percentage. When a child is truly abandoned and turned over to an orphanage as an unknown child, documents are generated. There will be reports of whoever found the child and where the child was found. There will be a police report of the finding and a newspaper report alerting the community of the lost child. Eventually, if the parents cannot be found, new identity documents will be created. The USCIS (and the prospective adoptive parents) need to be able to rely on the authenticity of these documents. These documents need to reflect the real situation of each legitimately abandoned child. Due to the falsifications in some paperwork, the USCIS conducted field reports to investigate the documents submitted for abandoned children. Either they were unable to confirm how and where the child was found and/or they were prevented from speaking with Nepali officials named in the documentation. The documents submitted could not be relied upon to reflect the child’s true situation, and therefore the child could not meet the legal criteria for an orphan visa. In other words, USDOS has reason to believe that the entire chain of paperwork for some alleged orphans in Nepal is fraudulent. Compounding the allegedly fraudulent documents is the refusal by Nepali officials to reasonably investigate claims concerning the legitimacy of documents or to cooperate with USDOS. The USDOS has issued at least 7 Notices and Alerts about adoption in Nepal since June 2009. These increased in severity: from concern about the safeguards in the new adoption procedures; to warning Adoption Service Providers (ASPs) not to accept new clients; to advising prospective adoptive parents (PAPs) to change to a different country; and finally to the suspension. In the Appendix, PEAR has excerpted important text from these Notices and Alerts. PEAR believes that whenever the USDOS issues a warning about adoption issues in a sending country, it should be read with the utmost scrutiny by PAPs, as these warnings are not issued unless there is a specific cause for concern. As USDOS does not usually archive its warnings, it may be difficult for PAPs to notice that the warnings have been changed or updated. PAPs should also be aware that it is highly unusual for USDOS to issue so many warnings about one country's program within such a short period of time. For example, of 67 USDOS Notices and Alerts that PEAR has posted from 2008 to 2010, at least 7 have been for Nepal. It is very significant that over 10 percent of the USDOS alerts/notices have pertained to one newly opened program. When the Nepal program reopened in 2009, there was a huge rush of ASPs to open programs there, as well as a rush of PAPs to submit dossiers in Nepal. Nepal licensed 63 ASPs in 2009, and an additional 19 in 2010. In an April 12th eKantipur article5, MoWCSW officials reported that there were 534 registered adoption applications, and only 520 children available for adoption. In addition, while 90 percent of the US applications requested a child under 18 months, most of the registered children were 3 years or older. Similarly, a 2005 study6 on children’s homes in Nepal surveyed 335 children’s homes with 8,821 children under age 18. The author estimated 80% of all the children’s homes in Nepal were surveyed and that the data would be representative of the unsurveyed homes7. Seventy percent of the children were in regular contact with their families8. Only 1 percent of the children had no information about the parents9. Fifty-nine percent were 10 years or older and only 7 percent were under age 510. Twenty percent of the 8,821 children were double orphans11 who might qualify for adoption under Nepal’s laws, but presumably, the majority of these children were over age 10. Clearly, there was a mismatch in the information provided to PAPs about the number and ages of children in Nepal available for adoption. We believe that Nepal should not have licensed additional ASPs in 2010, given the lack of legally available children and completed adoptions for already licensed ASPs. We also believe that responsible ASPs should not have promoted Nepal as a viable alternative for most families considering inter-country adoption once the current problems were officially brought to light in September 2009. We encourage you to read the recent articles about Karuna’s reunion with her family, Smriti’s adoption, and the historical articles about Nirmala Thapa’s three children12, Sunita Bhattarai’s son13, Mitra Bahadur Thapa and Rama Karki’s son14, and Padam Bahadur Shahi’s son15. These children and their parents were permanently separated by an unethical child placement system. The Nepali closure in 2007 was brought about by the numerous reports of children adopted illegally, including the situations referenced above and of an allegedly abandoned 6-year-old girl who told embassy personnel that she was 8, had a family, and did not wish to be adopted16. Children reported to be “abandoned” plunged after the May 2007 closure, as documented by both Nepali police Women and Children Service Centre (WCSC) data17 and Gorkhapatra newspaper publications18 of abandonments. This data supports the evidence that abandonments were falsified specifically to place children for inter-country adoption. We believe that ASPs and their member organizations played a role in creating the situation in Nepal by failing to properly present the Nepal adoption program to their clients, including the lack of children available in the age range most requested, the warnings issued by DOS, the limitations and known fraudulent paperwork of the Nepali system, and its history of corrupt practices. ASPs who continued to promote and recruit prospective adoptive parents for Nepal after the DOS issued warnings opposing this should be held accountable for the pain and financial loss these families are suffering. We encourage ASPs to take responsibility for their role in this situation by allowing PAPs to transfer to another program or offering full refunds. We encourage ASP member organizations to hold their members to higher ethical standards and to actively promote ethical adoptions. We understand that the JCICS, an ASP member organization, is requesting full contact and personal information from affected PAPs and asking them to allow JCICS to advocate for them. While we fully support every PAP’s right to seek assistance, we question the role of the JCICS in attempting to clean up a problem that was encouraged by its member organizations. What did the JCICS do to encourage ethical behavior by ASPs and the Nepali officials in order to prevent the suspension, particularly in light of the repeated and increasingly severe warnings by USDOS beginning in June 2009? PEAR encourages PAPs who had hoped to adopt from Nepal to join together with other PAPs and explore avenues for promoting the reopening of Nepal under an ethical and transparent process that supports and respects the entire triad, not just the ASPs and their in-country facilitators, orphanages, and Nepali officials. We are willing to speak with any and all families and to assist them in exploring ethical avenues for assistance. We hope Nepali officials will cooperate with USCIS investigators, especially in the cases of children referred prior to the deadline. We advise families that while there is no suspension for legally relinquished children, this process is very difficult in Nepal and rarely happens. The USDOS reports that there have been no relinquished children submitted for adoption by US parents since the program re-opened in 200919. We advise families who are officially matched with children, and who also choose to proceed with the adoption, to be patient and expect long delays while in Nepal and understand they may not be successful if they proceed. We are certain that PAPs want to provide a home for a child who needs a one, and not for a child stolen, tricked, or coerced from another family. 14 Bueno, Un drama lejano: los niños vendidos de Nepal, op. cit. Please be advised that the US Embassy Moscow does not require a power of attorney notarized by a U.S. notary for IR-3 cases. However, if only one parent is present at the visa interview, proof that both parents have met the child (a photograph of the absent parent with the child) is required. A power of attorney is required for IR-4 cases if the petitioner is not present at the interview. For Non-Hague adoptions, as in Russia, an IR-3 immigrant visa is issued if both parents visited the child prior to the adoption finalization (court date in Russia). An IR-4 immigrant visa is issued if only one parent of a married couple visited the child prior to adoption finalization. For IR-3 Appointments: Iif one parent goes home prior to the visa appointment, a Power of Attorney is not needed from the absent parent. A photo of the absent parent with the child is required. For IR-4 Appointments: If one parent goes home prior to the visa appointment for an IR-4 visa, a Power of Attorney for the absent parent is be required. U.S. citizens who have questions, or require assistance, should contact the Consular Section of the U.S. Embassy through the U.S. Embassy Moscow website. If you require further information or assistance, please visit the U.S. Embassy Moscow website or e-mail us at MoscowWarden@State.gov . The U.S. Embassy Moscow consular section is located at Novinskiy Bulvar 21, Moscow. The nearest metro stations are Barrikadnaya and Krasnapresenskaya. You can reach the embassy's switchboard at (7) (495) 728-5000, and the American Citizen Services Unit at (7) (495) 728-5577. In the event of an after-hours emergency, please contact the main switchboard. You may also contact the American Citizens Services Unit by fax at (7) (495) 728-5084. The U.S. Embassy Moscow website is also available in Russian at http://www.usembassy.ru/ . For information on general crime and security issues, U.S. citizens should also consult the Department of State's Country Specific Information of Russia as well as The Worldwide Caution Located on the Bureau of Consular Affairs website. The Department of State and U.S. Citizenship and Immigration Services (USCIS) have decided to suspend processing of new adoption cases from Nepal that involve children who are claimed to have been found abandoned, because documents presented in support of the abandonment of these children in Nepal have been found to be unreliable and circumstances of alleged abandonment cannot be verified because of obstacle in the investigation of individual cases. We are sending this message to answer your questions about the status of the program that the United States Citizenship and Immigration Services (USCIS) and the Department of State are currently setting up that will enable the U.S. Embassy in Kathmandu to complete the required I-604 Determination of Child for Adoption (sometimes referred to as the “orphan investigation”) in your case before you travel to Nepal to finalize your adoption. As of this date, the program is not yet finalized. Every effort is being made to finalize and implement the program in the immediate future. The Office of Children’s Issues will inform you when the program is implemented and will post a notice on adoption.state.gov with information and instructions. Please continue to monitor http://www.adoption.state.gov for updated information. At this time we do not recommend that prospective adoptive parents travel to Nepal to finalize their adoptions. We are concerned that problems identified in our public announcement will affect the processing of all adoption cases in Nepal. Prospective adoptive parents who do elect to travel to Nepal to finalize their adoptions should be prepared for an extended stay. If the I-600 petition is determined to be not clearly approvable, it will be forwarded to USCIS/New Delhi for further processing, per standard procedure. We wish to caution prospective adoptive parents that even with a pre-approval program in place, it may take the U.S. government several months to process adoption cases to completion. Questions concerning adoptions in Nepal may be sent to either AskCI@state.gov or AdoptionsNepal@state.gov . The Embassy is working with the Government of Nepal to see if the 60 day period in which prospective adoptive parents are required to travel to Nepal to finalize their adoption can be extended. We will provide more information as soon as it is available. The best way to contact the Embassy is by email at AdoptionsNepal@state.gov . Please include your name, your child’s name, your adoption agency, and, if possible, the immigrant visa case number for your child’s case (this number begins with a year, followed by the letters KDU, followed by several more numbers) and can be found on any document sent to you by the National Visa Center) . Please continue to monitor adoption.state.gov for updated information on adoptions in Nepal. PEAR has become aware of current problems in some regions of Kazakhstan that could affect pending and future adoptions. Currently there are two separate and distinct issues of concern in Kazakhstan. The first concerns the unexpected refusal of the court in the Taraz region to approve 10 adoption petitions, leaving prospective adoptive parents and the children they have bonded to in legal limbo. There were indications in the media report that the reason for refusal to grant adoptions was due to the determination by the Court that there was not enough effort to find placement in Kazakhstani families before referring children for international adoption. At this time, we do not have confirmation that this was the Court's official ruling. This issue was highlighted by the linked story and we have received reports from other families experiencing the same issue. It is unknown if this is a politically motivated decision that will stand up to legal scrutiny. In the meantime, Kazakhstan is implementing the Hague Treaty on Intercountry Adoptions and is not accepting new applications. The second issue concerns reports by adopting families in the Taraz and Karaganda regions that their in-country facilitators are requesting additional fees purportedly to pay bribes demanded by the Court in order to approve the adoptions. PEAR has no confirmation that the bribe requests came from the judges, only parent's reports that the in-country facilitators are making this claim. PEAR reiterates that prospective parents need to proceed with caution in Kazakhstan adoptions in light of these events. PEAR, as advocates for ethical and transparent adoptions, never advises prospective adoptive parents or adoptive parents to participate in corrupt practices. The risk to your personal safety and the integrity of your adoption is too great. Prospective parents need to be aware that by participating in a bribe or any other improper financial influence, you may open yourself up for potential prosecution in the US under the Foreign Corrupt Practices Act. If your agency recommends that you pay the bribe, they may also be subject to the Act. See: http://www.justice.gov/usao/eousa/foia_reading_room/usam/title9/crm01018.htm for more information. In addition to the FCPA, you may also be risking possible arrest and imprisonment in Kazakhstan under their criminal laws as well as possibly being issued a NOID (Notice of Intent to Deny ) by the US Embassy in Kazakhstan when applying for your child's visa. For information on NOIDs see: http://www.uscis.gov/USCIS/Laws/Memoranda/Static_Files_Memoranda/Archives%201998-2008/2005/rfe021605.pdf Participation in corrupt practices can also jeopardize the future of adoptions in this country. We encourage those in the process and those considering adopting from Kazakhstan to ask questions of your agency about any potential problems in various regions. In addition, we suggest that you contact the US Embassy in Kazakhstan for further information at USAKZ@state.gov . We highly encourage you notify not only your agency, but the US Embassy in Almaty and the US DOS Office of Children's Issues about any unethical or unlawful conduct you are subjected to in-country. Contact information is below. If you wish for PEAR to notify these entities on your behalf, we will, but they respond more quickly when families notify them personally. Today, an updated list of Homestudy Providers with Missing Post Placement Reports in Russia was posted. The official Russian MOE statement is here. The official list of Providers missing reports is here. PEAR will issue a statement discussing the suspension shortly. The Kansas Directory of Adoption Resources for use pre- or post-adoption is now available. This concludes the third series (Midwest states). District of Columbia Directory of Adoption Resources from the fourth series (Northeast states) is now available. Check back soon for directories from Virginia, Maryland, New York, New Hampshire and Vermont slated to be released this year.